Work commenced on the foundation in July, 1893, and the church was dedicated April 19, 1894. A noted feature of the 1893-94 church is the clock located in the tower which was manufactured and installed by the E. Howard Clock Company of Boston. Numerous public buildings throughout the country featured Howard clocks. The North Middleborough church was only the second building in Middleborough to incorporate a public clock. 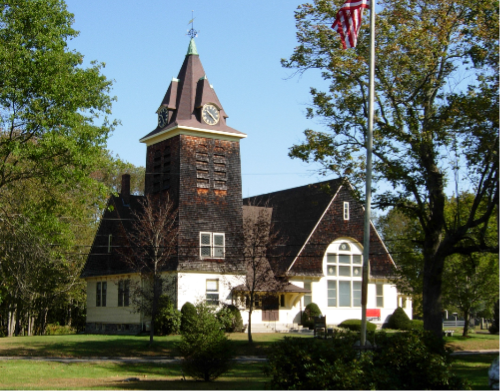 The first was the Central Baptist Church at Middleborough center which also featured a clock manufactured by the Howard Company. 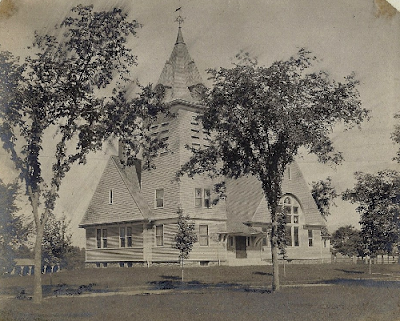 North Congregational Church, 38 Plymouth Street, Middleborough, MA, photograph by T. A. Richmond, c. 1901-02. North Congregational Church, 38 Plymouth Street, Middleborough, MA, photograph by Michael J. Maddigan, October 3, 2006. Old Colony Memorial, April 8, 1893, page 4.